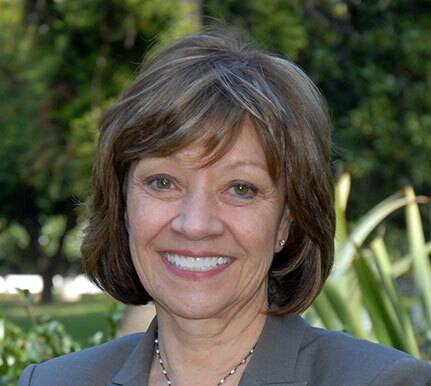 Karen Ross was appointed Secretary of the California Department of Food and Agriculture (CDFA) in January 2011 by Gov. Jerry Brown. Prior to joining CDFA, Secretary Ross was chief of staff for U.S. Agriculture Secretary Tom Vilsack, a position she accepted in 2009. Before joining the U.S. Department of Agriculture, Secretary Ross served more than 13 years as president of the California Association of Winegrape Growers (CAWG), based in Sacramento. During that time, she served as the executive director of Winegrape Growers of America, a coalition of state winegrower organizations, and as executive director of the California Wine Grape Growers Foundation, which sponsors scholarships for the children of vineyard employees. From 2001 to 2009, Secretary Ross served on the California State Board of Food and Agriculture. She was chair of the Ag Vision Subcommittee, which initiated the California Ag Vision process that resulted in a report issued in 2010 proposing a strategic plan for the future of the state’s agriculture and food system. From 1989 to 1996, Secretary Ross was vice president of Government Affairs for the Agricultural Council of California, representing farmer-owned cooperatives. From 1985 to 1988, she was government relations director for the Nebraska Rural Electric Association. From 1978 to 1985, she directed state operations for the late U.S. Senator Ed Zorinsky.